There are a lot of things that Italians do really well, most of them aren't that surprising and were all very much confirmed during our stay. Food, Coffee, Wine, Fashion, GELATO, check check check. 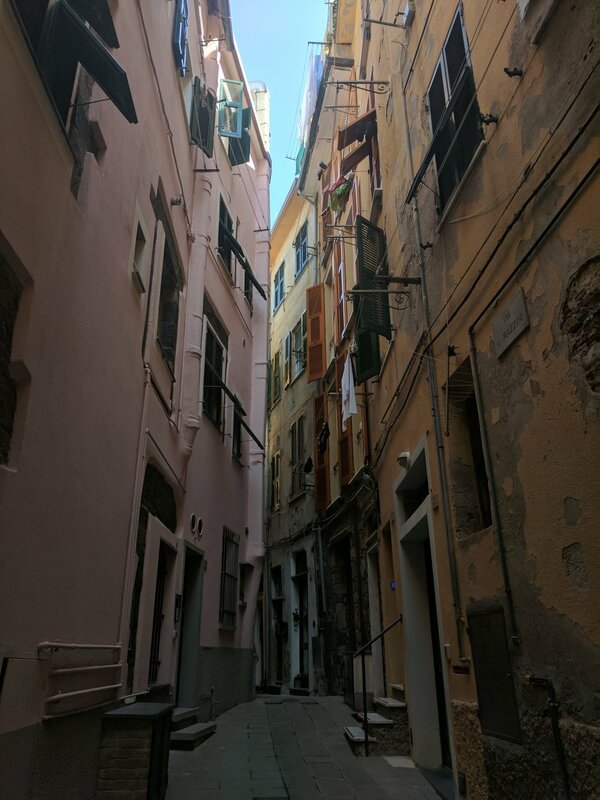 There was one thing, however, that they also do REALLY well which only became glaringly apparent to me once we reached Cinque Terre and that's architecture. 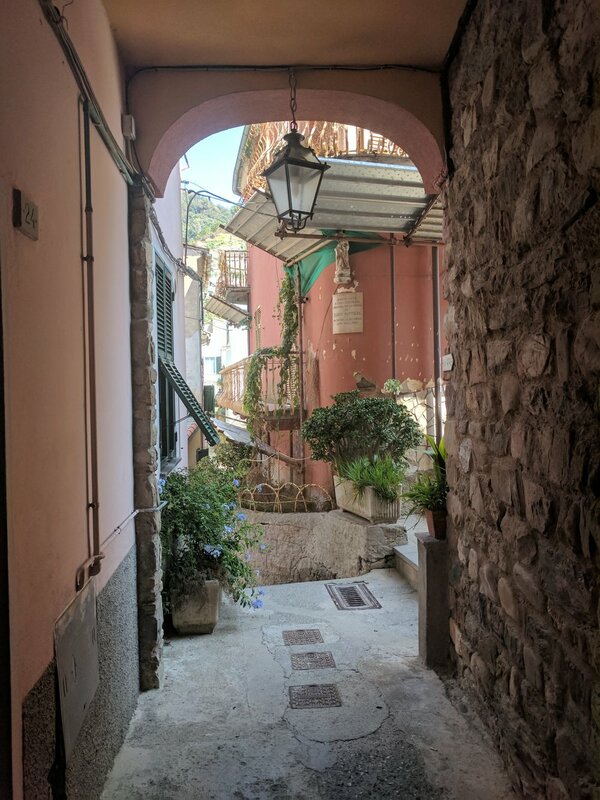 I can't think of many places that i've been to, where natures beauty has been 100% enhanced by man made beauty but the Cinque Terre villages certainly have. After driving for a few hours up the coast we finally made it to Portovenere at around midday. Portovenere isn't actually one of the five villages that make up Cinque Terre but after much research we found out that it was equally beautiful and much less touristy as it's slightly cut off from the others due to the fact that you can only reach it by car or boat. We checked in to our hotel the Grand Hotel Portovenere and headed straight out to visit the villages. We hopped on the public ferry that takes you from Portovenere to the other villages. We decided to start at one of the furthest villages Vernazza and then we would make our way back by Train / Taxi. Vernazza was gorgeous, as is the whole coastline. The pretty multicoloured buildings are so stunning and unique, i've never seen anything like it. We wondered around the little port and explored around town before heading up to the path that connects the villages. We didn't have enough time to do the walk from Vernazza to Manarola, the next village along but i would love to go back and do it one day. Instead we hopped on a quick train ride to Manarola to visit, probably my favourite bar in the entire world, The Nessun Dorma. Now i've said this a few times, Joel is just such a weirdly lucky person. He's one of these people that good, flukey things happen to all the time. I think it comes down to the fact that he's just such a good person, so naturally good things seemingly come back to him. I know what you're thinking, she's read "the secret" a few too many times, but i genuinely do believe in that stuff. I've always said i thought the Dalai Lama was on to something and if i had to choose a religion, Buddism is one that speaks to me most. I know i'm massively going off on a tangent here but hear me out. The whole "what goes around comes around" way of life i think is something that's not talked about enough. I grew up being told to "treat people how you want to be treated" do people still teach that the way they used to? I hope so. Now what i'm going to say is going to sound a bit of an anti climax now, i did say i had digressed. BUT we had expected to rock up to this bar and have to wait for hours for a table as we had read that it was incredibly popular, but low and behold we arrived and no queues, not even one person ahead of us. Not only that, a couple had just paid their bill on what looked to be the best seat in the house. I'm mean if that's not seriously lucky i don't know what is. I personally think i'm just riding off Joel's good fortune. I often think my luck got used up when i met him. Too cheesy? Ok i'll move on. JUST LOOK AT THAT VIEW!!! Needless to say i had quite a few apparol spritz's. We stayed for a few hours. Naturally the queue was half way up the coast by the time we left. Take your lucky charm if you plan on stopping in, which you should. Our final stop of the day was the village called Riomaggiore. It's probably the smallest of the three we visited but also probably the most beautiful. We had dinner at one of the harbour restaurants and watched the sun set into the sea. It was the perfect end to yet another perfect day.